Some files on this site require Adobe Acrobat Reader for viewing PDF files. 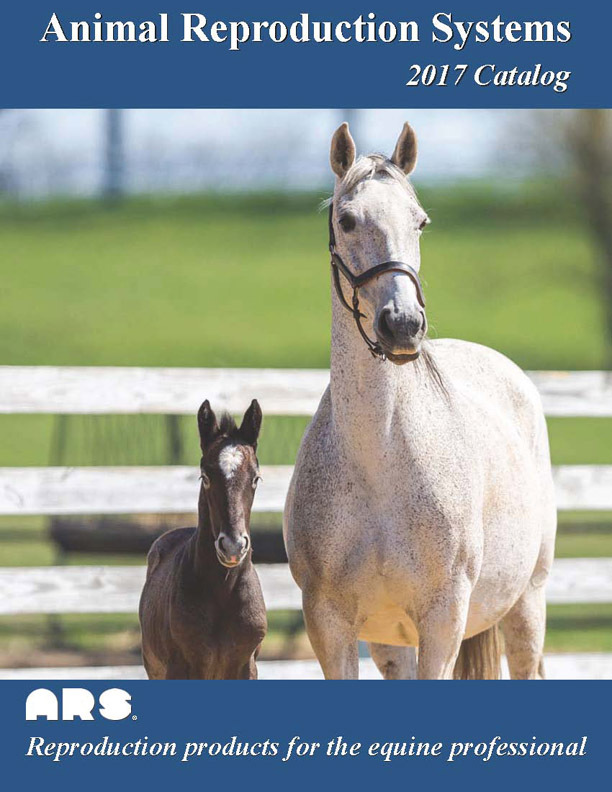 Animal Reproduction Systems (ARS) is proud to offer this catalog and the products listed in it as our contribution toward advancing the practice of Artificial Insemination (AI) in the equine industry. ARS started out as a division of a company with deep roots in the aerospace industry. By transferring technology, and applying engineering science, high-tech electronics, and quality manufacturing processes and capabilities, ARS sets industry standards for animal breeding products. In 1980 ARS created its first product, the Model 534A Densimeter, known in the industry as the "Blue Box" Stallion Sperm Counter. In keeping with our practice as a state-of-the-art manufacturing firm, continuing improvements were made and our current Densimeter models are completely digital with enhanced performance capabilities and a computer interface. Our goal is to continually develop new and innovative products, meeting the needs and technology changes of the equine industry. Our Research and Development activities are ongoing, and have resulted in new equipment used in breeding programs for other animal species as well. Our engineering department works cooperatively with leading universities, private laboratories, and successful horsemen. All of our products are tested individually or by batch sampling to ensure that our customers receive high quality, biologically safe, and easy to use products. Our friendly and knowledgeable staff welcomes your inquiries and the opportunity to be your supplier. We recognize that our success comes from your support, and we thank you for the confidence you have placed in ARS and its products. Best wishes for a successful breeding season.